We have a number of corkscrews at Market Lavington Museum. One of them has a large handle which appears to be made of a root. We had thought it might be a briar. The metal part of the tool has a maker’s name on it. There is a brass plaque on the handle, which may be the name of a particular wine. When the item was given to the museum, there was no internet to find out about things. There is now, so we are able to learn more about our corkscrew. First of all, we now know that the handle, appropriately enough is made from the wood of a vine and that the manufacturer was one of the largest corkscrew makers in France. Our information comes from a corkscrew on line magazine at http://www.bullworks.net/daily/20080608.htm where we found this image and information. 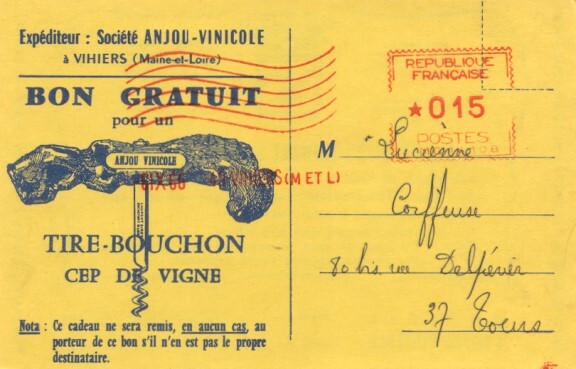 The corkscrews are often marked on the shank with the name and location of one of the largest producers of such corkscrews Laurent Siret, Rochefort-sur-Loire, France. 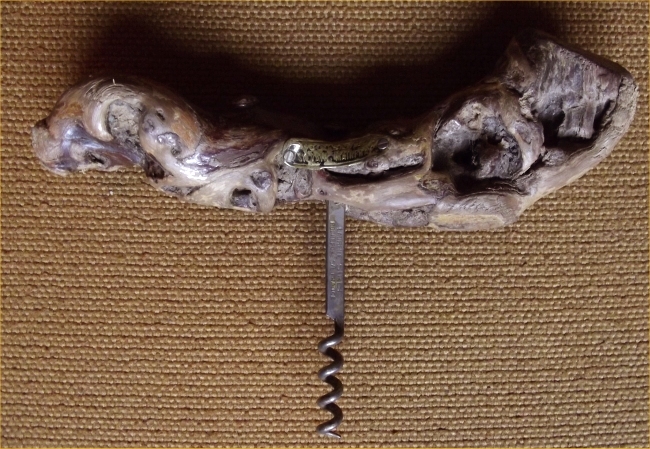 The handles of these corkscrews come in an unlimited number of shapes and sizes as they are cut from the vine. One can imagine all sorts of animal figures in the shapes. The example at left was offered by a seller as a seahorse. Also they can be found with small brass plates attached advertising wines and vineyards. This entry was posted on September 12, 2011 at 5:16 am and is filed under Museum. You can follow any responses to this entry through the RSS 2.0 feed. You can leave a response, or trackback from your own site. What year were they made?? We are not certain. Originally we had ours as early 20th century but I think it could be more recent. Has anybody else any idea? We agree – we think they look lovely. I would like to know more about the brass works in Rochefort…as I found a Lady Dinner Bell, marked Rochefort. Most of these bells have been attributed to England or even Russia. The detail is very fine. I’m sorry. We know nothing.